Shopping for no waiting period dental insurance Texas is something we can help you with at QuoteFinder.org. We have Texas dental insurance plans available with no waiting periods. All policies on this site true dental insurance policies approved by the Texas Department of Insurance. The Texas no waiting period policies are unique to select states including Connecticut, Illinois, Texas, and Missouri. 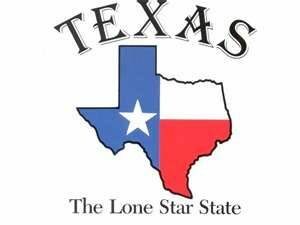 If you reside in Texas read below to obtain more information. Preventive Coverage: Includes two dental cleanings per a year. For those under 18, fluoride treatments and sealants are also covered. Basic Coverage: X-rays, simple extractions, and dental fillings. Major Coverage: Crowns, root canals, oral surgery, periodontics, bridgework , and dentures. If you are in the market for no waiting period dental insurance in Texas, review the coverage levels carefully. 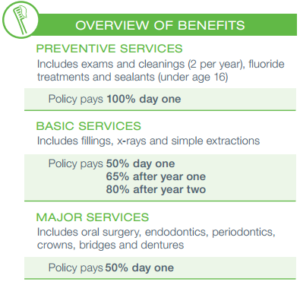 By understanding the dental benefits, you’ll clearly understand how your dental policy works. Instantly the policy would cover 50% on all services. The savings on these three procedures could be anywhere from $700-$1000 depending on where your services are completed. Texas is such a large state that a usual and customary charge in Dallas may be different than that in Austin. If you have shopped online for Texas dental insurance you will know that these benefit levels are spectacular for first day coverage. Most dental insurance plans in TX have twelve month long waiting periods before major services are covered. If you would like to check rates, please get a dental quote. The coverage maximum a dental policy will pay in Texas is $1000 per a calendar year. If more coverage is needed an applicant can pay around $7 a month additional premium and the max can be raised to $2,000. Keep in mind on a no waiting period policy only half your policy limit can be dedicated to major dental work. So if you add the $2,000 limit, only 50% can be used on major dental work (so $1,000), the other 50% would be used on basic coverage such as fillings, x-rays, and extractions. It is important to remember that the max out of pocket benefit is in addition to the PPO dental network rate. When you use the no waiting period dental PPO network you also receive the insurance company contracted rate. So, for example, the normal rate on a root canal in Texas is $1,155 per a tooth, but with the PPO dental the cost is reduced to around $717 in most regions. Your cost would be 50% the $717 or $358.50 per a root canal. If you needed to get a filling done, the average retail rate is approximately $187 per a filling. Through the dental PPO network the rate is $110. Within the first year of having your plan, the rate would be approximately $55 in most parts of Texas. Please understand that a $1000 benefit is what the insurance company pays in addition to giving you access to the reduced rates. Most people are familiar with deductibles, but if you are not, a deductible is the amount of money that you must pay before services are covered. For Texas residents the dental insurance has a One Time preventive services deductible of $50. After this money is paid one time, the preventive services deductible is never paid again for the life the of the policy. In addition to the preventive coverage deductible, the no waiting period dental insurance plans have a $50 calendar year deductible for basic and major dental services. The $50 deductible would only be paid if basic or major dental services are received. The $50 is only paid once per a calendar year. Remember, the deductible is not paid if basic or major dental work is not needed. To learn more about no waiting period dental insurance in Texas, simply get an online dental quote. Vision coverage can also be added to your dental insurance policy. Missouri dental insurance plans are available with no waiting periods. The plans available are real dental insurance policies and are NOT discount plans. The no waiting period benefit is unique to only a few states including Connecticut, Illinois, Texas, and Missouri. Keep reading to learn about the policy benefits in Missouri. Preventive Services: Two dental cleanings per a year. Children also receive fluoride treatments and sealants. Basic Services: Fillings, x-rays, and simple extractions. Major Services: Oral surgery, periodontics, crowns, bridges, and dentures. Please review the percentage of coverage carefully as these benefits are important to how your plan works. Day one the policy would cover 100% on the cleaning. However, the x-rays and filling are basic dental work, so the plan would only cover 50% of the cost. The same 50% would apply to the crown which falls under major dental work. If you have shopped much for dental insurance you will know that these benefits are excellent for first day coverage. Most dental insurance plans have long waiting periods before basic and major procedures are covered. The standard yearly coverage amount a dental policy will pay for Missouri is $1000. However for around $7 a month extra the maximum amount can be raised to $2,000. It is important to know that only half your policy limit can be used for major dental work. So if you purchase the $2,000 limit only half can be used on major dental work, the other half would be used on basic services such as x-rays, extractions, and fillings. Dental insurance shoppers must remember that the max out of pocket benefit is in addition to the PPO network rate. 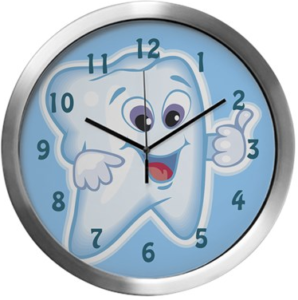 When you use the no waiting period dental PPO network you also receive the insurance company rate. So, for example, the normal rate on a crown in Missouri is $1,185 per a tooth, but with the PPO dental insurance the rate is reduced to around $751 in most regions. Your cost would be half the $751 or $375.50 per a crown. For another example, if you were looking to get a composite filling, the national average retail rate is $187 per a filling. Through the dental insurance PPO the rate becomes $110. During the first year of your plan your rate would only be $55 in most parts of MO. It is very important to understand that a $1000 benefit is what the dental insurance pays in addition to getting the insured the reduced rates. A deductible is an amount of money that you must pay before services are covered. For Missouri residents the dental insurance has a One Time preventive coverage deductible of $50. After this deductible is paid, the preventive coverage deductible is never paid again. In addition to the preventive deductible the plan has a $50 calendar year deductible for basic and major dental services. This $50 deductible would need to be paid if you have basic or major dental procedures completed. The $50 deductible is only paid once per a calendar year. The deductible would not be paid if basic or major dental work is not received. To see rates or learn more about Missouri dental insurance, simply get a dental quote. Vision coverage can also be added to your dental insurance.